Career highlight: After the Prix de Lausanne, I danced with the Houston Ballet for a year where I had the opportunity to dance several roles. I was also invited to dance at the Latin Grammy Awards in Houston for a special guest appearance. After Houston, I danced with the San Francisco Ballet. While in San Francisco, I toured different countries with the company and for dance galas: the UK, Denmark, Hungary, China, and several cities in the US. The Chilean ambassador to the US presented me a special award for Chilean artists representing the country in the US. 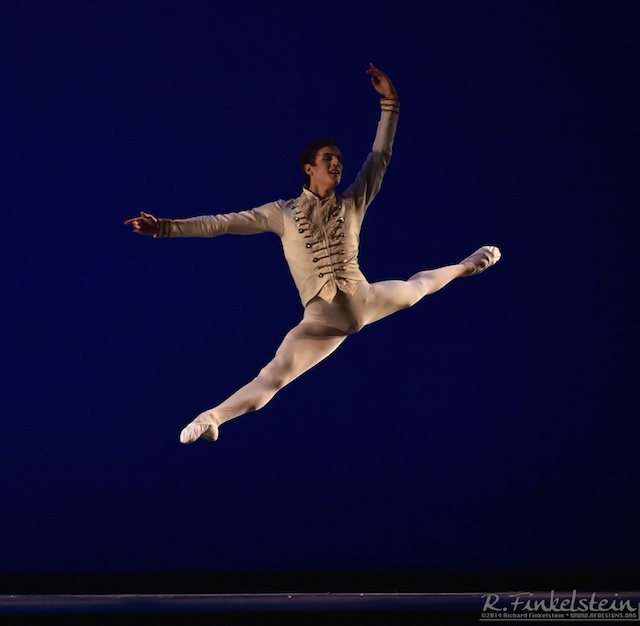 I was also named a Young Leader by the Chilean press and recently I danced in the finals of the USA International Ballet Competition in Jackson. Favorite roles/choreographies: I have worked with amazing choreographers like Christopher Wheeldon, Jaime Pinto, Helgi Tomasson, Marcia Haydee, Demis Volpi, Mathew Nenan. I also danced pieces by Balanchine, John Cranko, McMillan, Petipa.